The EBC website currently shows this graphic. 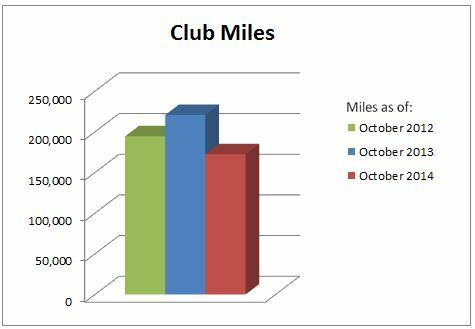 The number of bikes miles we’ve done this year are down. There's a simple explanation, of course. 2012 was unusually dry, bordering on drought conditions. This year has been much rainier. How much rainier? At this graph shows, so far this year we've had more rain than the record rainfall year of 2008. That year had an extraordinarily wet September (I think the preview rides for the North Shore Century were cancelled that year due to the downpour). I hope we don't repeat that.